The Saxons are coming to Wildwood! 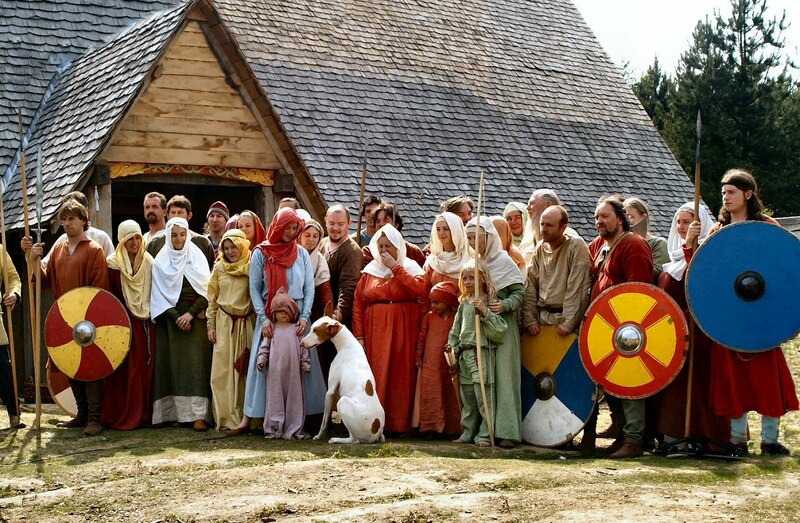 Visitors will be able to step back in time and visit Wychurst, the group's authentic Saxon Burgh (village) nestled in the depths of the forest at Wildwood and experience how our Saxon ancestors lived circa 1000AD. Wychurst - literally meaning "the village in the wood" - is a Saxon Manorial Burgh, reconstructed by Regia Anglorum according to the best available evidence. The group have spared no trouble or expense to ensure that the site and its environs are as close to the original as possible. The Burgh features a spectacular Longhall along with other buildings and is exactly the kind of place to which local people would have retreated when the Vikings sacked the city of Canterbury over a thousand years ago. And it's about to happen again! The site will be open to visitors from on 9th & 10 June from 10.30am to 4.30pm. 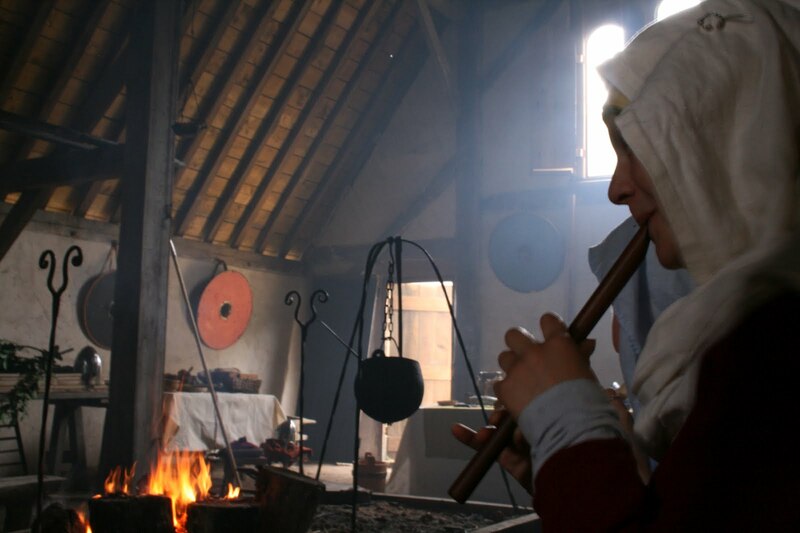 During the day, there will be a range of crafts on display both inside the Longhall and in the various artisan's tents inside and outside of the Burgh. You will be able to see warriors at training during the morning before the big event at 3pm when the Vikings will raid the Burgh! 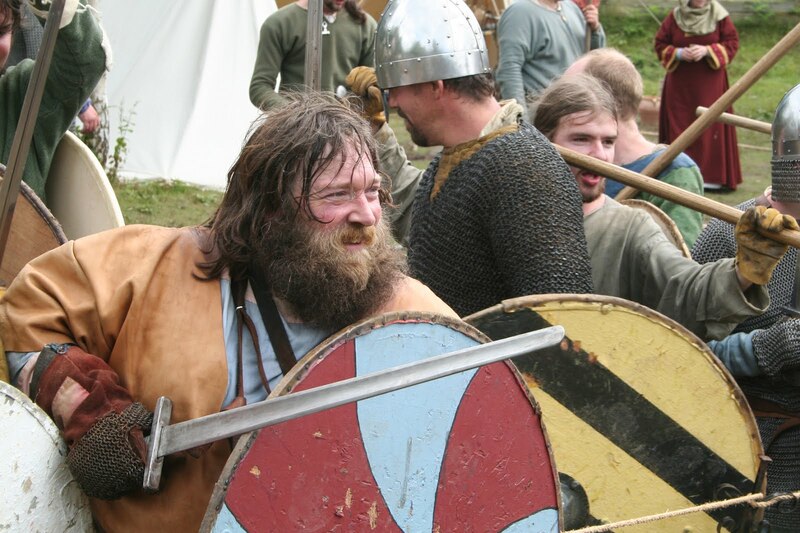 The Viking raid is a competitive open ended battle and either side might win! Entry to Whychurst will be £3.50 for 15yrs and over (under 15yrs free). Wildwood entry fees or membership must also be paid to be allowed access to the event. You might say, That's a funny name. Pronounced with a hard 'G', as in "gate", 'Regia Anglorum' is vulgate Latin and means "The Kingdoms of the English", a term used by Early Mediæval chroniclers to refer to the English state, just as we might say "Great Britain" today. It implies no particular boundary, either Geographically or spiritually. Founded in 1986, Regia Anglorum is a society based in the UK but with a rapidly growing membership across the Atlantic, having members in Florida, California, Oregon, Ohio and Maryland. We are a group of people from all walks of life who share a common interest in the period that used to be called The Dark Ages, but is now more accurately known as the Early Mediaeval Period - roughly from the time of Alfred the Great to Richard the Lionheart - although much of our work aims to recreate a cross-section of British life around the turn of the first millennium. It was a time when Britain was host to many peoples - Anglo-Saxons, Anglo-Danes, Norse, Cymru, Viking raiders and even some Normans. Regia portrays all of these and more. We are proud of our strong stance on authentic portrayal and have acquired a considerable academic reputation for accuracy. This we maintain and augment by seeing not only the wood, but the trees as well! 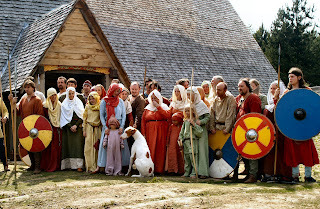 Alone of all re-enactment societies, Regia Anglorum owns a permanent site. Situated about sixty miles from central London and in a patch of secluded woodland near Canterbury in Kent, We are constructing a fortified manor house from the Late Anglo-Saxon period. Wychurst is a fortified English manor – properly, a Manorial Burgh. The ditch-and-bank encloses an acre, at the heart of which is our Longhall that dominates the tree-girt enclosure and the sheer scale of the building just takes your breath away. It is the only building of its kind in Britain. The site was cleared in 2001 and work on the Longhall commenced at Easter the following year. At the end of 2004, the main structure of this 20m × 10m × 10m building was completed and before the onset of winter, we had clad most of the roof with softwood sarking boards, awaiting the first 10,000 hand-cleft oak shingles for delivery in 2005. That year saw the completion of the porches and the commencement of the huge task of nailing on the shingles. Walling advanced well, too. In 2006, the front roof was completed and shingling advanced about a third of the way up the back roof. The walls were completely infilled, doors and hinges were fitted and our hall was secure for the first time. 2007 saw the completion of shingling, some 18,000 eventually finding their way onto the roof. It is an impressive sight and is certainly the largest reconstructed early medieval building in private hands in Europe. Built entirely of English oak, all of which has been harvested from trees growing in Kent, (many within a couple of miles of the site), the site in general and the Longhall in particular, has been conceived, planned, purchased, designed and constructed by our members. What you see is the result of many long hours of research, discussion and the practical application of skills with which our ancestors would have felt at home. The pure white squirrel is in actual fact a common grey but his unusual colour makes him quite rare and easy to spot in the woodlands. There have already been several sightings around the parks' wild boar and wild horse enclosures. Albino squirrels are a rare oddity of nature, with the condition being thought by wildlife experts to affect just one in 100,000 animals. This is compounded by their lack of camouflage which makes them stand out so they are easy prey. Sadly, many albino squirrels are taken by predators at an early age, giving them less chance to breed. 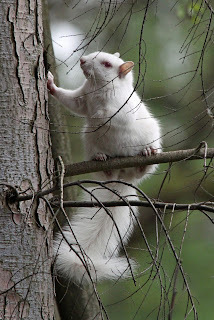 Albinism is caused by a rare genetic mutation which limits the amount of a pigment called melanin that the body produces. 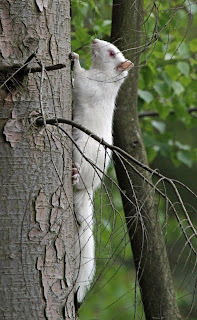 Animals with albinism are born with little or no pigmentation in their fur, skin or eyes, resulting in very pale or pure white fur and often distinctive pink eyes. 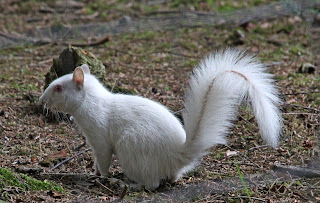 Interestingly, Wildwood is already home to pure black squirrels, which are caused by melanism - the opposite of albinism. 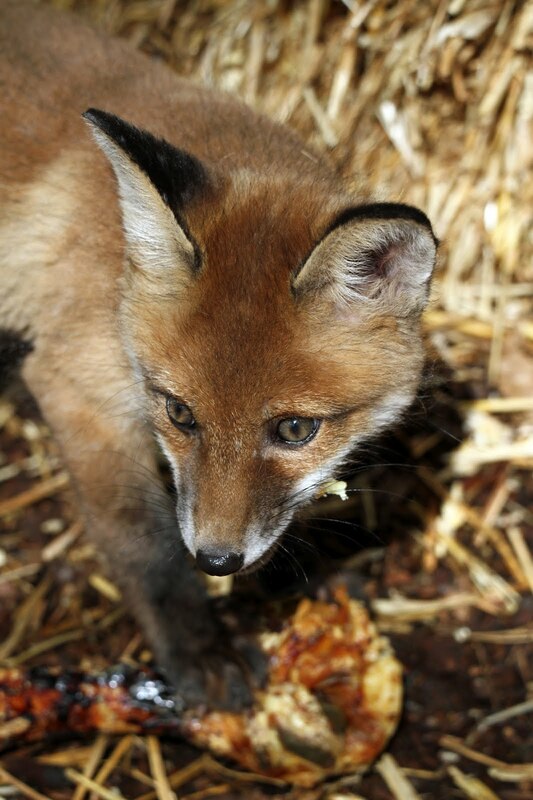 Wildwood is not only the best place to bring the family for a day out, but it is also a bold and innovative conservation charity, dedicated to saving our native wildlife from extinction. Set in a sublime 38 acres of Ancient Woodland, Wildwood offers visitors a truly unique experience where you can see a wide range of British species from our past and present. See wolves, lynx, beaver, red squirrels, foxes, owls, deer, otters and many more as you make your way around our natural woodland setting. The ladies, led by their captain Ann Watts, chose Wildwood as their charity and visited the wildlife park and conservation charity near Canterbury, Kent, to learn more about the conservation work done by the trust before organising a range of novel ways to raise money. Ann Watts said "Fundraising took many forms, there was a charity bunker on the course during the summer and £1 was collected every time a player landed in that bunker. We held raffles and tombolas and devised Wildwood-themed activities such as "Name the Wolf" and "Where did the Red Squirrel bury his nuts?" The ladies hard work paid off, with an amazing £1,100 raised for the trust. "We are thrilled with this amazing donation; the ladies have really pulled out all the stops to raise funds for our conservation work. 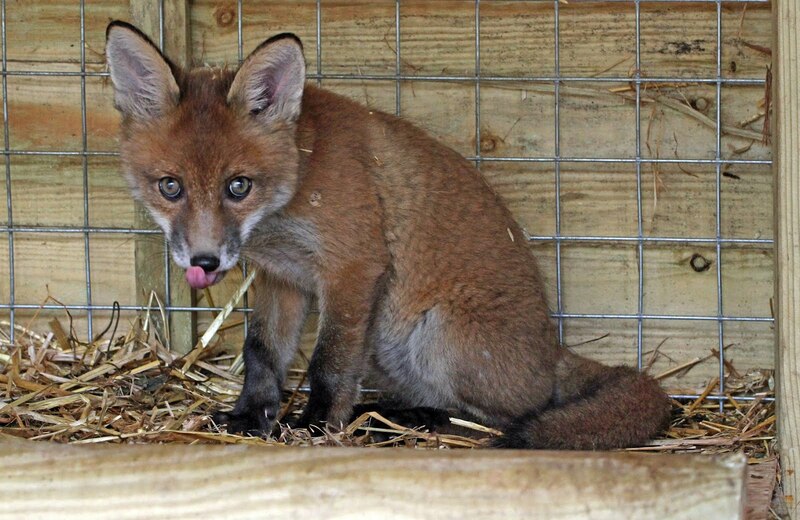 The money will greatly contribute towards our work to save British Wildlife." 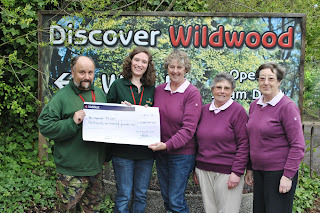 commented Beth Flowers, Wildwood's Fund Raising Manager. Ann Watts said, "I had no hesitation in selecting the Wildwood Trust as my chosen charity. I have previous experience of working with the Trust and wanted others to see the fantastic work that they do for British wildlife. I also wanted to support a small, local charity." The donation was presented by Ann and some of the other lady members of the club to Steve Kirk and Claire Wright of Wildwood and will be used to support the trust's conservation projects to save threatened British animals such as the water vole and red squirrel. 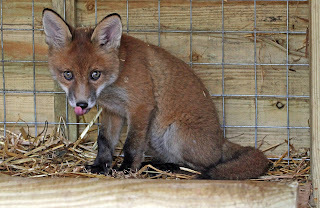 Sasha, a young female aged around 10 weeks, was rescued after her den was destroyed. Her mother had vanished and is likely to have been killed on the busy road nearby. Knowing that she was too small to survive in the wild, the keeper team took her in as a very young cub and have been hand rearing her until she was old enough to join the other foxes at the park. 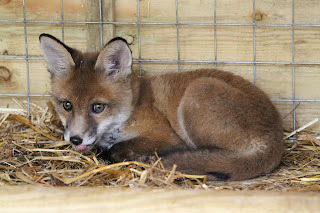 Sasha's arrival now brings to the total number of red foxes to four. Sasha's keeper Chris Jewell said "The area that Sasha was found in is known to be home to badgers, and badgers sometimes prey on young foxes, so with her mother gone, she might not have lasted long in the wild. She's is a fantastic fox, very young and excitable and is extremely keen to meet the other foxes at Wildwood." Wildwood is an ideal day out for all the family where you can come 'nose to nose' with British Wildlife. Wildwood offers its members and visitors a truly inspirational way to learn about the natural history of Britain by actually seeing the wildlife that once lived here, like the wolf, beaver, red squirrel, wild boar and many more. See our animals under the moonlight on a guided tour to coincide with the full moon. The Killing Fields is a new documentary by Carlo Nero that explores the fragile relationship between wildlife, land, taxation and law in Britain and Europe. Making a powerful case for sweeping reforms, it argues that the only long-term solution to our conservation crisis is to put real value on nature's assets. Wildwood Trust members have the chance to meet Vanessa Redgrave this Sunday when the film is launching the Brighton Festival. Vanessa has invited Wildwood's members to join her with her son, film director Carlo Nero and Wildwood's own Peter Smith, for a special screening of the film. This will be followed by a panel discussion chaired by Prof Sir Richard Jolly, United Nations & UNESCO, with contributors to the Film including: Economist Fred Harrison, Environmental Lawyer Polly Higgins and Farmer & Landowner Dr Duncan Pickard. Listen to the spring birdsong on a guided walk through the woodland and learn to identify key woodland bird calls with Natural Heritage Officer Steve Kirk. We all know about the nettle's formidable stinging power, but do you know just how useful the humble nettle is? Learn about nettles throughout our history and we have used them for food, clothing and medicines. Discover many of Kent's woodland trees and learn how to identify them on a guided woodland walk with Natural Heritage Officer, Steve Kirk. 10.30am - 4pm. £79 per person . Must book. Wednesday 6th June - Death, decay and dissection! What happens to dead animals? What's inside them and how do other animals use them? This fun (but gory) workshop uses a real dead animal (road kill) for dissection to discover its amazing anatomy. Min 8yrs. 2pm-3.30pm, £2 per person, 1 adult free per family. Must book. Discover the brainiest animals at Wildwood and set them some challenges to keep their brains busy. Make special food treats to get them thinking and then see some of these used in the park. 2pm - 3.30pm, £2 per person, 1 adult free per family. Must book. Discover how animals use all their senses, not just their eyesight, to find food and each other. 2pm - 3.30pm , £2 per person, 1 adult free per family. Must Book. Night tours and conservation courses). We have a number of vacancies at Wildwood, if you want the chance to work at the park please visit our jobs page to read the full job description and for details of how to apply. To maintain the Wildwood procedures and systems and ensuring an efficient secretarial facility. Responsible for facilitating internal communications, particularly through the dissemination of all incoming communications. To maintain personal records, staff timesheets, produce letters of appointment and arrange advertisements and interviews. To assist with all financial administration, playing a key role in cost control and making financial systems effective. To ensure that Wildwood's health and safety arrangements are effective, consistent and well documented across the board. We require a Keeper/Senior Keeper to assist with the care of our animal collection & conservation projects. This role will suit a fit, practical person who can work outdoors during all weathers doing a physically demanding job. To help our conservation projects and to promote wildlife conservation. The closing date is 11th May 2012. Interviews will be held by arrangement within 2 weeks of that date. We require a water vole keeper for maternity cover in our conservation department. The role is to assist in the husbandry of Wildwood's captive water voles and will suit a fit, practical person who can work outdoors during all weathers doing a physically demanding job. You need to be able to work independently as well as part of the Keeper & Conservation team. The Fundraising Projects Managers role will be to administer the Trust's fundraising programmes. This is an exciting position which will help develop a range of new projects to help protect wildlife across the UK and enable projects that allow people to play a role in wildlife conservation. To apply for the maximum amount of relevant grant aid possible including: lottery grants, grant making trusts, government grants, Major donors and corporate sponsorship. To make externally raised funds as effective as possible in achieving our long-term goals. We are looking for someone with good written English and report writing skills that can systematically fill in grant applications, and manage the projects that come about from their success. The post holder will receive mentoring from the Chief Executive who is an experienced charitable fundraiser, developing their skills in business planning and project management. Interviews and selection tests will be held at Wildwood offices at Wealden Forest Park, Herne Common by arrangement during the following two weeks after the closing date for applications. We are looking for a flexible technically astute individual to develop our online and offline database marketing systems, websites and booking systems. We are looking for someone with coding and technical understanding to develop the right mix of in house and outsourced data management infrastructure. Working closely with the Chief Executive, Marketing Officer and membership team your primary focus will be the smooth running our websites and databases. The ideal candidate will be technically able with sound data handling ability, but wishing to develop their career into more practical aspects of marketing and income generation and integrate their work with our administration systems. We favour open source solutions, but are looking to redevelop all of our online systems in the most cost effective and productive way. The post holder will welcome working in a very small team with the limited resources that are available to a small charity. Migrating the organisation to Direct Debit and ensuring our systems collect the Direct Debits and staff are trained (we are already Auddis enabled). Developing online shop, charitable gifts and appeals. Developing online event booking system. Integration of online database systems and existing charity marketing systems. To assist in the design and development the charity websites ensuring strong functionality and optimisation. To assist the Chief Executive and Marketing Officer in the planning of overall charity strategy regarding online marketing and fundraising. To monitor web server and site technical performance. To facilitate our charitable work through online publishing and information sharing, including social media and online information stores. This post is crucial in developing the charity to achieve is aims. The post holder will excel in giving our members the service they demand and expect, through timely and accurate management of the membership, adoption and fundraising database. This post's will key objectives are to maximise the turnaround of membership administration, membership recruitment and Gift Aided donations. Responsible for processing new applications for membership on a daily basis, adding to database and sending out all relevant documentation. Ensuring the up to date maintenance of the existing records, e.g. changes of address, deletions, covenant and bank changes. Backing up the membership records on a regular basis to avoid data loss. Responsible for all subscription renewals/reminders. Dealing with members queries by letter, telephone, e-mail and in person. For full details and how to apply please visit our jobs page to read the full job description before submitting your application.